If you’re one that always wants to get to straight to the point then this is for you. We break it down and the bring you the crux of wedding planning in 12 simple steps. Set the budget – Work out how much you can afford to spend taking into consideration any contribution from families. 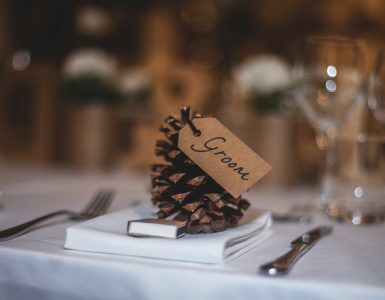 Whilst it might be early to know how big your final guest list will be (which will also help with deciding on the size of the venue required – see next step), having a rough idea at this stage will help when determining your budget. Set the date and secure the venue – Without a date in mind, you won’t know when to secure your venue(s) for, so once you have selected a date or have a rough idea, commence your venue hunt. If you’re planning on having a different venue for the reception from the ceremony, you’ll have twice the job here. Take out wedding insurance – Whether the costs involved are big or small, you’ll want to have peace of mind that should anything unexpected happens, you won’t lose out on any payments already made and that if required, you’ll be able to rearrange things without being out of pocket. Creating the guest list – The number of guests is inextricably tied to the budget so if you don’t have a big one to work with, keep it tight. Once you’re happy with the final guest list, you can get on with sending out your save the date cards (typically 6 months before your wedding day). Book your suppliers – Make a list of the required suppliers, prioritise them and then get your researching caps on. Once you’ve made a shortlist, it’s wise to meet up with them to discuss whether they’ll be able to meet your needs and, of course, the costs involved. Key suppliers include photographer/videographer, caterers, wedding cake, florist, band/DJ/entertainment, wedding car/transport, and beauty and hair. Plan the decor – Once you have secured your reception venue and your florist, you can start to plan how you want the venue to be decorated (from table arrangements to place-cards and favours) and order in the supplies as necessary (or leave that to your wedding planner!). Find the dress – and the groom’s suit (and the bridesmaids’ and groomsmens’ attire). Whilst it can be fun shopping for the perfect dress, it can also be a pretty stressful time. It can take numerous appointments and multiple try-ons until you find the right one and then not to mentioned the number of fittings and/or adjustments up until the big day. Buy the rings – Give yourself some time incase they need resizing or if you want engravings done. Book the honeymoon – Once some of the bigger elements have been planned and secured, you can start thinking about the fun to be had post wedding. Ensure that passports aren’t due to expire, the necessary visas have been applied for, any required vaccinations are booked in and that you book time off from work. Set up the gift list – One way to ensure that you don’t get given any unwanted gifts is to set up a gift registry and share it with your guests. Many of these can be created online with a chosen department store. Send out the invites – Typically sent out between 6-8 weeks before the wedding. Whilst old school etiquette doesn’t include gift registry details on the invitation, today more and more couples are choosing to include it anyway because it’s 1. practical 2. convenient and 3. guests will be looking for it and will be referring to the invite go get all the information they need. Old rules are made to be broken right? Confirm the final details – Confirm any final payment that are still outstanding as well as the arrival, delivery, location and pick up times with your suppliers. Also ensure that members of your wedding party are fully aware of their roles and responsibilities on the day.